Flipkart, the leading e-commerce giant is yet again back with lucrative deals and offers on smartphones with its popular Mobile Bonanza sale. 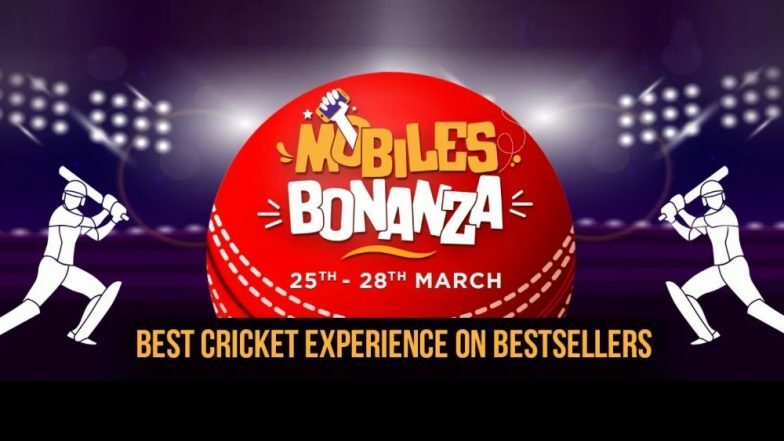 The company will be hosting this special sale on Mobile phones from March 25 to March 28. This 4-day sale from e-commerce website will provide discounts, offers, cashbacks, no-cost EMI options and several other options on phones like Samsung, Realme, Nokia, Asus, Vivo, Xiaomi, Oppo and other brands. Xiaomi Poco F1 India Prices Slashed By Rs 2,000 For Limited Period; Now Get 128GB Variant For Rs 20,999 on Flipkart & Mi.com. As a part of sale, Flipkart is offering discounts on Realme 2 Pro, Xiaomi Redmi 6, Asus Zenfone Max Pro M1, Honor 9 Lite and various other phones. Moreover, the company will also be revealing the lowest prices under 'Master Blaster' for the devices such as Zenfone Max M2, Redmi Note 5 Pro and others. The e-commerce has also teased exciting deals on Apple iPhones. The customers are also entitled to get 5 percent instant discount on Axis Bank credit and debit cards during the Flipkart Mobiles Bonanza sale. The sale is scheduled to commence from March 25. And, the company has already teased 'Complete Mobile Protection' at a starting price of Rs 99, no-cost EMI, exchange offer, 'Buyback Guarantee' at Rs 99. Amazon’s Apple Fest Sale 2019 Offers: Discounts Up to Rs 17,000 on iPhone X, iPhone XR, Apple Watch, MacBook & iPad. During the sale, the customers will be offered with an excellent opportunity to get their hands on the Realme devices as well. Realme 3 Pro is priced at Rs 8999 for the 3GB RAM variant and Rs 10,990 for 4GB RAM variant. Furthermore, the customers looking to purchase Samsung Galaxy Note 8 or Galaxy S8, they can now get their hands on the phones at just Rs 36,990 and Rs 29,990 respectively.